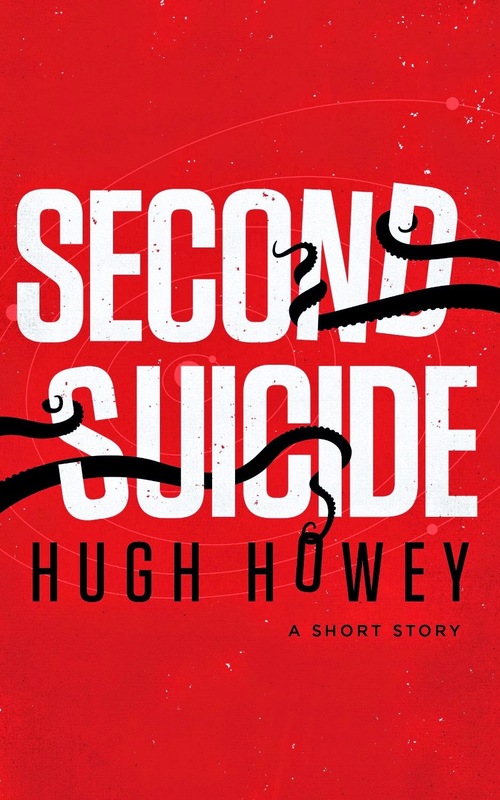 In this 15th episode I review one of my favorite books of all time - Wool by Hugh Howey. Listen to hear why this is easily in my top five best books ever written. 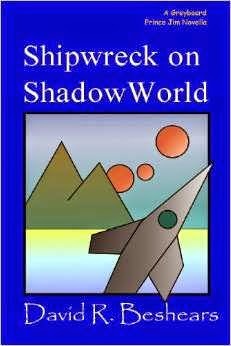 Now available as a free eBook at Smashwords in all the formats you could want. Alfred Thompson can't wait to get his V.R. SuperCube game system this year for Christmas, but there's a problem. He overhears the school bully talking with his mom in the game shop and comes to a realization. He may have just found a way to never be bullied again. I got this little classic book for free as an audiobook from Audible. They're cool like that. It was extremely boring and the story was hard to follow. Part of this is because the story was just so odd. I could care less about the characters in this book. I was not interested in the story at any moment even once. The entire thing bored me. If it had not been so short I would not have finished it. 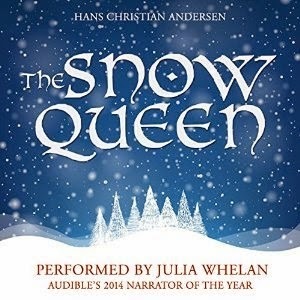 It was narrated by Julia Whelan and she is a pro and did a fantastic job. 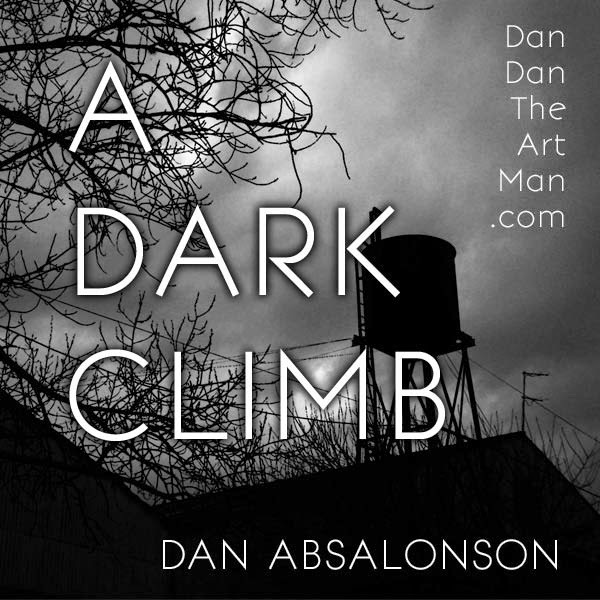 Great narration - but no narration, no matter how fantastic, could save these stories for me. I was expecting this book to be cool and a fun read, but it had so much more to offer. It had a tiny bit of the Chronicles of Narnia feel, a lot of fun Science Fiction elements, cool technology, and some great characters. Two brothers find themselves in a world they could never have imagined and it only gets more intriguing from there. The first thing that hit me when I started this book was how good the authorial voice was. The book has a very interesting approach to character and viewpoint. The entire book is first person but each chapter is from a different character's viewpoint, and those viewpoints expand as the story unfolds and we meet more characters. The author really uses this to his advantage as he writes each chapter with a very strong slathering of the character's personality. The way they talk, the way they think - it was awesome! Some characters are very smart and analytical while others were more fly by the seat of their pants and get things done type of characters. Each one flavors the chapters wonderfully. You start off with a narrators voice that you can tell is a kid's right away and it's really fun to read. It's written with a great authenticity that makes the characters come alive and the world their experiencing do the same through their unique point of view. It was fun to know some things one group of characters knew and then see how the other characters reacted once they found out. This book had some terrifying creatures in it that made the action scenes work really well. I can remember them vividly as I think back on them. I think nail biter would be a good way to describe some of those scenes. They were tense. The dangers the kids in this book face were pretty scary even for me as a 31 year old reader. I was scared for the characters. I could easily see how the characters could not survive their encounters with these creatures. I cared about the characters and so when they met danger it was very real to me. I think the first person narration helped draw me into the story in a very personal way. The way the author broke up the chapters to be through different characters allowed him to use the best parts of first person narrative while also gleaning some of the things you can get from third person narrative. Like getting a broader scope of the world as it is seen through different characters eyes. The technology was awesome in this book and really added some fun to the story for me as a science fiction fan. I'll just say I wish I could shoot one of the guns they learned how to use in the book. It was really cool and I really liked how the showed the characters have a tough time learning how to use them. It wasn't a case of them just finding guns and suddenly going into battle with them. They trained for hours and had a hard time with it. 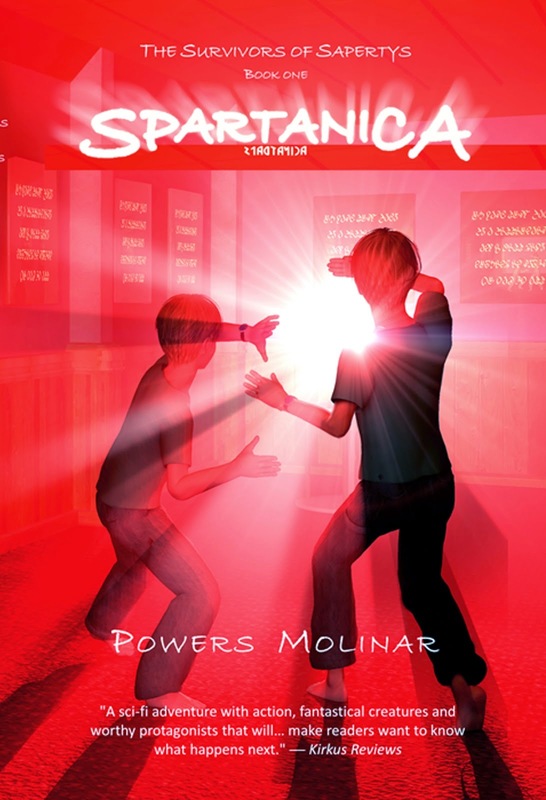 That was another way the author Powers Molinar added authenticity to the story world of his novel. The transportation vehicles were very interesting too. I enjoyed seeing the enemy and the protagonists use different vehicles in this story. I saw this author tweet that he was giving out free copies of the book to reviewers and ever since I started my book reviews podcast I've been getting more serious about my book reviews so I asked him for a copy. I'm so glad I did. This book was as good as the ones I've been recommended by friends. If you think of me as a friend, and I hope you do because that's how I think of podcasters I listen to even though I haven't met most of them, then let me recommend this book to you as a friend. If you know any teenagers or have some of your own. Buy this book for them. They'll love it and think you're cool for having bought it for them. So be that cool uncle, aunt, friend, or parent. Heck I'm almost 32 and I absolutely loved it so buy this book for all your friends young and old, after you pick up a copy for yourself of course. In this fourteenth episode I review Mik Murdoch: Boy Superhero written by Michell Plested. 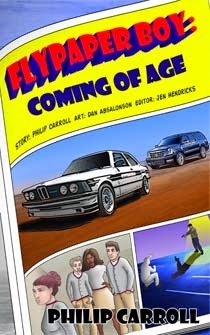 Mike writes an amazing novel with tons of awesome adventures you and your kids will love. Have a listen to find out why I liked this book so much and am planning on reading it to my kids. In this thirteenth episode I review Shelter Mountain by Robyn Carr. This is the second novel in her Virgin River romance series. Listen to find out why I, a fan of Sci-Fi, Action, Adventure, and Fantasy genres read not one but two books in a romance series. I really enjoyed this second novel. Yes I read another romance novel. Surprised? So am I. Listen to hear why it was great. In this twelfth episode I review The Book of Joby by Mark Ferrari published by Tor. Listen to hear why this unique fantasy novel that weighs in at over 600 pages read like a short novella because its story was such a page turner. In this eleventh episode I review Tarzan of the Apes by Edgar Rice Burroughs. An amazing read! No seriously it was so good! Listen to hear why I loved it so much. In this tenth episode I review The Fox by Arlene Radasky. It's an amazing historical romance and fantasy novel that is really long and really enjoyable. Listen to find out why I liked it so much. Get the book here as a free Kindle eBook or in Paperback. Flypaper Boy is someone you'll grow to love. He's a great character that was really fun to root for as the story unfolded. I know, it sounds like he's a superhero with cheesy powers right? And he is, at first. As you read this, as titled, coming of age story it stretches out with the character into much more than you might be expecting from this book. I'm not going to give anything away in this review, but the story grows with the protagonist and reaches out into some very cool places. Jimmy lay in a car, probably in the trunk, his head resting against what felt like the wheel well, and his arms secured behind him. The author Philip Carroll wastes no time easing you into the story world but instead leads with the inciting incident flinging you into action right as the story begins. You get some great breathing time after that as the character deals with his new and strange environment. The back story is sprinkled through so you get to know more about Jimmy as you see him begin to learn new things and grow as a person. You're not sure where the story is going to go and it seems like the protagonist is going to be stuck in his new home forever, then everything changes. As you're launched into act two you discover a whole new world with the main character. I don't want to give it away but if you look at the cover art, which I created by the way, there are clues. Jimmy makes new friends and some pretty bad enemies. I was really engaged during the action scenes in this book and there were many. They became more fun and intense as Jimmy learns how to use his powers. The relationships between the characters were very important in this book too. It does a good job dealing with teenage love with the hormones and feelings teens have treated realistically and yet there are no inappropriate scenes. It doesn't ignore the tension felt between the male and female characters and there are some intimate scenes but never more than kissing. I appreciated that and it makes this book that much more appealing for parents to get this book for their kids. This was a great book for me, a guy in his early 30s, and it will be a great book for teenagers too. The main character goes through a lot of the stuff they're going through and if they're like me when I was a teenager the fact that this book has a character with super powers will really draw them in. Most dads like super heroes so they'll like it too just as I did. There were a lot of characters in this book and I loved them all. In the case of the bad guys I loved to hate them. I liked how this book about teenagers was not void of adults. There were a lot of adult characters too and while most weren't main characters they still played a critical role in the life of the protagonist. I appreciated that too and I think most parents will be happy to read a story that is all about the teens but the adults aren't bumbling idiots who get in the way. More like real life they're there to offer help and advice when the teens are dealing with stuff. Grab this book for yourself and then buy a copy for a teenager you know. You and they will really dig it. I know I did. Get the book at Amazon in paperback and Kindle. This book was an awesome adventure. A series of events unfolded that took me to strange places where I got to meet some very interesting characters. The main character Jim is on his way to see his family when his ship crashes onto a lonely planet. No one is there to accompany him, but as he begins to look for a way to survive he meets some strange creatures. I really liked the way Beshears described the landscape and the way he painted an image of the two suns of the planet in detail. It was some great writing. You don't get bogged down in the details though; they just enrich the story which is one great adventure. It starts a little slow but in a good way that helps you feel the way the main character does. He is desperate and lost on an alien planet just trying to survive by finding food and shelter. There were some superb similes used in this book, and I love a good simile. I remember two tunnels next to each other being described as black empty eye sockets. That was a great and creepy image that added to the tension of the scene. Just the touch you needed as a reader to get you feeling the way the character was. The author does a good job building the atmosphere of the strange world the characters explorer. The alien creatures were described in a way that made them easy to picture and somewhat terrifying. Much different than anything we know here on Earth. The last thing I'll hit on is that I listened to the audiobook version of this story. It was well produced. The narrator Benjamin Isaac Armstrong has a pleasant deep voice. He speaks clearly and his voice is easy to follow and understand. That is what's most important in an audiobook. Now here's where I'll get nitpicky. For my tastes I found his style a bit hard to get into. He over enunciates words in my opinion and his reading was a bit flat missing that dramatic sing song rhythm I've come to love from other narrators. That said he did a great job and if you go check out the sample I'm sure you'll love his voice. I'm probably just a bit of an audiobook snob being an avid longtime listener and a narrator myself. Whether in paper, eBook, or audiobook you'll enjoy the adventure with Jim and his interesting companions and adversaries. This isn't a topic we tend to cover on Dan Dan the Art Man's Book Reviews but it’s an interesting book in the respect that it documents how one man single handedly changed the landscape of poker in one foul swoop. Not only did he manage to change the dynamics of poker forever, he also enthused a whole nation with the belief that anything in this world is possible. In 2003, Chris Moneymaker, a Tennessee resident won a place on the World Series of Poker Event via an Internet qualifying tournament – a qualifying system that had only just been devised. Through this mode of qualification, Chris Moneymaker, a virtual unknown in the poker world, went on to win a World Series Bracelet for the first time in the sport’s history. To this day, it remains the most important moment in poker history. As Moneymaker reveled in the fame and fortune of such a surprising victory against some of the world’s best professionals, the ripple it sent across the sport was phenomenal. For the first time in the sport’s history it was now gaining mainstream coverage, ESPN was once more screening the WSOP and the world of online poker became huge business. 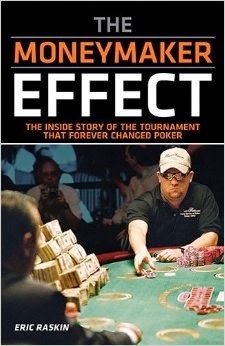 It wasn’t until the 10th anniversary of the so-called ‘Moneymaker Effect’ – the moniker that was pegged on Chris Moneymaker’s WSOP triumph – that a comprehensive book was written about this dynamic shift in poker. Writer Eric Rankin was a journalist for Grantland at the time when he approached his editors about covering the monumental feat. After the article ‘When We Held Kings’ went down with his readership so well, he then went on to find a publishing company, in the form of Huffington Press, to publish his full version of the accounts that happened in 2003. Not since the rather influential ‘Positively Fifth Street’ by Jim McManus had a book on poker so charmingly told the story of a rags to riches narrative in the way the Raskin captures the seismic shift in the poker world. Raskin enlists the likes of fellow poker luminaries Phil Hellmuth, Phil Ivery and Dan Harrington to add their thoughts to the proceedings. 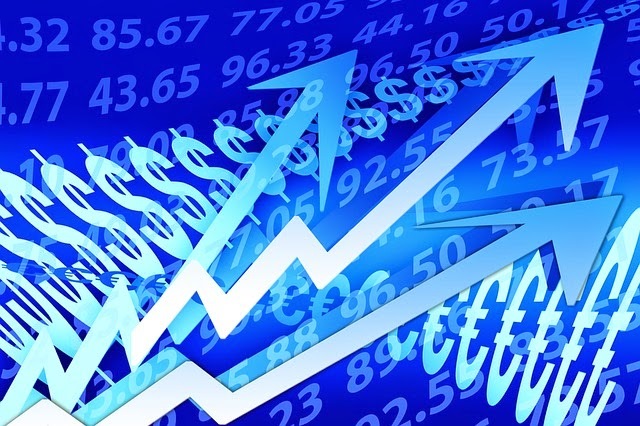 They voice their points on the influence that the “Moneymaker Effect” had on the sport, the uprising of online poker, with the catalyst being the first online poker since launched in the late 90s through InterCasino and the belief invested in your average Joe that anything is possible if you pursue your dream. 'The Moneymaker Effect’ epitomizes everything the ‘American Dream’ stands for and ultimately was the catalyst that made poker so popular. Even if you aren’t familiar with the mechanics of poker, or not particularly interested in the sport, Raskin’s detailed account of what happened on that monumental day makes for an enthralling read. Contributed article by Ethan Moore, a self confessed poker and sports enthusiast. In this ninth episode I tackle Virgin River Robyn Carr - my very first romance novel. Guess what? I actually liked it! Listen to hear why a guy who prefers action scenes, cool science fiction technology, or richly imagined fantasy stories liked a fun heart felt romance novel. This was a cool book. Jason Gurley is a good writer. The ideas in this book are awesome. You will probably really like this book. So why did I give it 3/5 stars? The narrative of the book felt disjointed to me. It was like reading a bunch of short stories that all took place in the same story world, and then parts of those short stories were broken up and shuffled around with other parts from other short stories. You might love the author's approach, but I found it hard to get to know the characters when the story would shift so often to another set of characters. Like I said the ideas in this book are really cool and actually sucked me right in from the start. When I read the first few chapters of this book I was hooked right away. Then I was forced to hop around between different narratives and I just kept waiting for them to become more connected by the end. I think if this book was simply reorganized a bit by shifting parts of the story around so they're more connected I would have given it 4/5 stars. 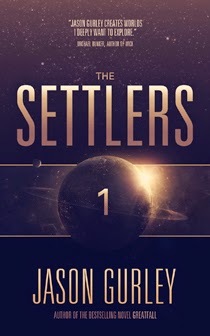 I get that this novel tackles a huge idea of people having to leave earth which calls for maybe more than one narrative, but I would have much preferred the stories to be more connected by the end of the book. The stories themselves were good and I enjoyed them, I just kept wondering why the author suddenly switched to a different set of characters. I never felt grounded in the story. All that to say you might love the way this book was written, and Gurley is a talented writer. He has cool ideas and writes well. Maybe it's just me. A lot of people loved the book World War Z which has several accounts of different characters dealing with a huge event and that book didn't appeal to me either. I'm thinking this is more of a personal preference of storytelling style than that this book isn't a great read. For me it was at times a good read, but overall I felt like I was getting thrown all over the place as a reader. So before I end this review I have to mention the audiobook. Listening to it is how I read the book. Maria Hunter Welles did an amazing job narrating the novel. She came up with great voices for the different characters and did a fantastic job delivering the lines of dialog. Her voice is just so genuine even while reading the narrator lines that you feel like she's sitting across from you at the bar telling you a great story. She's a real talent and I would jump at the chance to listen to another audiobook she has narrated. I think her performance made this book one I enjoyed much more than I would have if I were reading it in paperback or eBook format. I'll end by saying that I would read another book by Jason Gurley. When he was focused on one set of characters for an extended part of the story he did a great job. It looks like he's written a lot of books too so I'm sure another one of his titles will find it's way onto my phone from either the Kindle store or as an audiobook from Audible. Available at Amazon in Kindle eBook, paperback, and audiobook. The audiobook is also available at Audible. 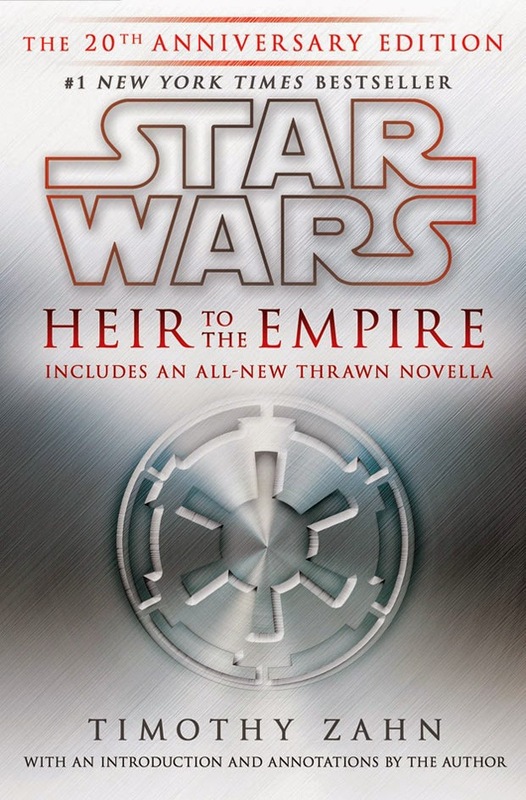 This novel is book 1 in the The Thrawn Trilogy and part of the expanded Star Wars universe. Part of the reason I decided to read this book is the fact that the new Star Wars movie, Episode VII is coming out next year thanks to Disney buying Lusas Film. It made me curious just what happened to the film characters in the novels all this time. Now when I watch the films I'll be able to pick up on any little Easter eggs they might throw in for fans of the Star Wars novelizations that have kept the story going in the absence of movies all these years. It's probably not likely they'll use anything from the novels as they've said they're only going to use the movies as cannon moving forward, but I was still really curious. I'm really glad I decided to give this book a read, and that I chose to consume it via audiobook. The author Timothy Zahn does a tremendous job with some of the most beloved characters known to science fiction fans. Honestly I was a little hesitant to read this book because I have concrete ideas about who all of the Star Wars characters are. How they react to situations, the way they talk, the way they interact with others. They all felt very much like the characters I have come to love from the original Star Wars trilogy. Zahn also did a fantastic job developing some new characters that played a major role in this book. Of course there is Grand Admiral Thrawn, who the trilogy is named after. Zahn does a remarkable job of having this character come across as a terrifying individual. Someone who is calm and calculating in the face of cataclysmic events. A person with enormous powers of reasoning and deduction. Someone whose determination to see his plans come to fruition is unshakable no matter what setbacks may occur. Thrawn is a villain I loved to hate and someone who came off as impressive, incredibly capable, and scary to me. Any story is much better when the bad guy your heroes face is an extremely formidable foe that sends chills down your spine. A person you would never want to meet in real life, even if you were on their side. I really enjoyed the character development of Grand Admiral Thrawn in this book and I look forward to seeing him in action again when I read the next book. Another great character was a man named Talon Karrde. You hear rumors about him for a while before you meet him. Before he appears in a scene you have a sort of reverence for him and his reputation precedes him. When you get to see him in action he lives up to all the hype. I loved Karrde's interaction with some of my favorite characters. All the favorites are in this book. R2-D2, C-3PO, Leia, Han, Lando Calrissian, Luke, Wedge Antilles, Admiral Ackbar, and of course Chewbacca who's home world you get to visit! The courage and bravery of the good guys in this book was exciting to read. There were a lot of slow scenes where big parts were moving and a lot of exhilarating action scenes. This book has a lot. I can think of intimate scenes where you get to see what it's like for Luke and Leia to use the force. There quiet scenes between characters where not much is happening but a lot is going on emotionally and internally. This novel had to be done this well because it handles some of the most loved characters of all time in a universe that fans around the world are crazy about. Timothy Zahn more than pulled it off. I'm so excited there are two more books! And that I will get to watch new Star Wars movies in the theaters with my kids! Woo-hoo! Sorry that has nothing to do with this book, but I'm just excited! Last but not least, I can't end this review without touching on how fantastic the audiobook version is. I listened to the 20th Anniversary Edition narrated by Marc Thompson. Marc's ability to voice all the characters so well was nothing short of brilliant. The guy does all the voices spot on and there are a lot of characters in this book. 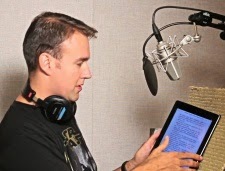 Major props to him from one newbie inexperienced audiobook narrator to veteran pro. I can't stress how good of a job Marc Thompson did narrating this book. He makes this audiobook come alive as a sort of audio play but all acted out by one man with a thousand voices. His versatility as a narrator is something you just can't miss. This audiobook also had much more production than any other professional audiobook I have heard. There were always complex weavings of sounds making up the background atmosphere of the scenes. You always knew if the characters where at a space port, on a ship, or deep in a forest. From massive epic space battles, to quick action scenes with intense fighting to quiet moments where hearing R2-D2's emotive beeps to Luke make you feel like you're right there in the Star Wars universe. This audiobook is easily one of the most entertaining listens I have ever experienced. 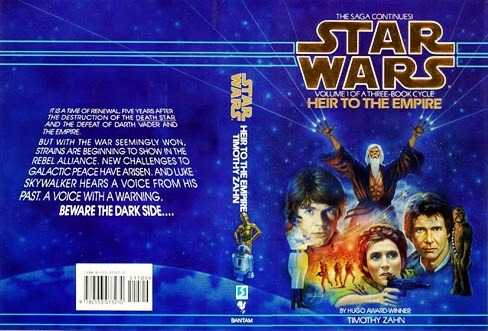 I can't wait to listen to the next book in the Thrawn Trilogy. In this eighth episode I bring you a review of Stephen King's brilliant book 11/22/63. Quite a departure from the book I reviewed in the last episode, and next weeks will be even more of a change in genre. Listen to hear just why I think Stephen King's book is a must read. 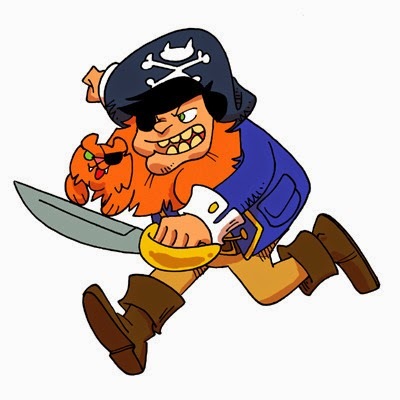 My friend Matt Nelson who writes and draws the amazing comic Catbeard the Pirate tagged me to participate in a Meet My Character Blog Tour. I LOVE his comic. His Catbeard books one through three will all be available soon on his website through the Store tab on the top menu, but you can read all of Catbeard’s current adventures for free on catbeardthepirate.com! All of the books contain more adventures not found on the site. Longclaw is a fictional character. The story is set in modern times during the winter. It starts at an arcade where Longclaw, a stuffed animal monster, lived in a claw machine. Then the setting changes to the house of Longclaw's new human Zach. Then the tale takes a scary turn as Longclaw is forced into the cold and snowy park across the street from Zach's house at night. Longclaw is an ugly stuffed animal monster won from a claw machine by a boy named Zach. He is a nice monster, however, and is thrilled to be taken home to live with other stuffed animals in Zach's home. The main conflict is that Zach's cat Thompson finds Longclaw and takes him away to the garage as a play thing. He tortures Longclaw, toying with him and ripping holes into him. The main goal of the character is to be loved. In order to do this he must find a way back to his human Zach and hope he'll take him back in his ripped and slashed state. This is a short story titled "Stuffed Monster" which you can find in my anthology of short stories called "Danthology." It can be found on Amazon, BarnesandNoble.com, iBooks in iTunes, Smashwords, Kobo, and many other fine eBook publishers. If a WIP: 7) When can we expect the book to be published? I am also working on the paperback and audiobook versions. 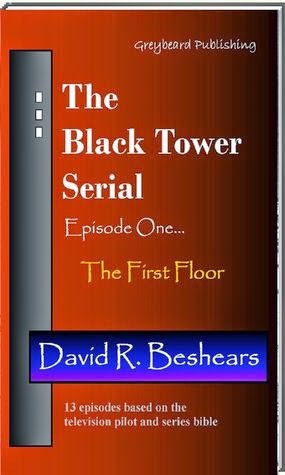 The paperback will be available this 2014 holiday season through Amazon.com, and the audiobook will be made available for free as a serialized podcast novel at www.Podiobooks.com by the end of the year. That's it! I'm tagging my new friend who's awesome novel I had the pleasure to create the cover art for - Philip Carroll. Philip is an Army trained Certified Orthotist, husband of 30+ years, father of 3, and grandfather of 2, currently living in the Central Valley of California. He has always been a story telling, if only telling himself stories to keep himself awake while driving, entertaining his children as he was driving, or just to entertain himself as he went to sleep. In October of 2008 he decided to start putting some of these stories on digital paper. In this seventh episode I tackle one of the most loved and hated books in recent history - Twilight by Stephenie Meyer. You may be surprised by my findings. 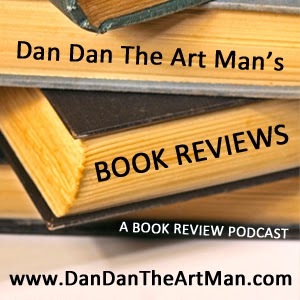 Listen to the review to find out what I thought about the book. I really enjoyed this novel. I love police procedural stories and this book had some of that but it was a little different because the main character is a retired detective. If anything that just made it more interesting. 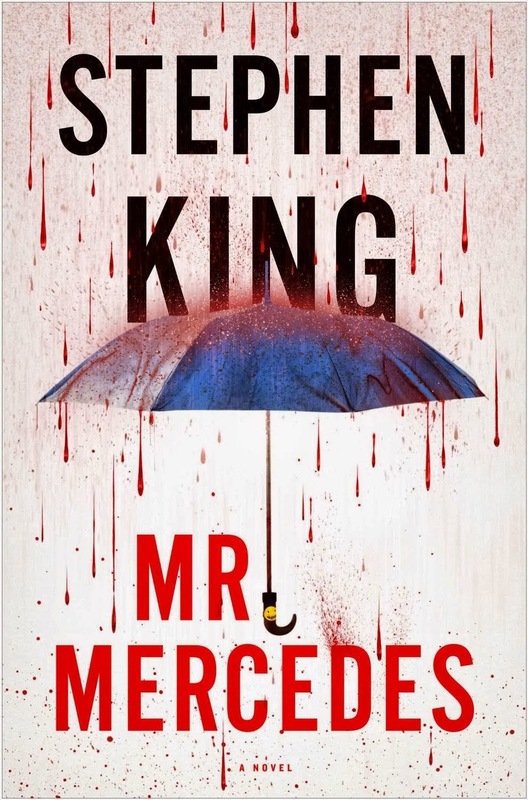 As usual, with a Stephen King novel, the characters were fantastically rendered and felt like acquaintances from real life by the time I was a few chapters in. One thing that made this book so cool was how different all the characters were from each other. Seeing people from opposite sides of the spectrum work together to solve a case was really cool. I won't elaborate so I don't spoil the story, but the makeup of the characters was really interesting and watching the ways they interacted really added a level of intrigue to the story. The antagonist, or bad guy, in this novel was chilling. When you read his inner monologue you're glad you're not on the other end of his diabolical plans. He's scary because in his day to day interactions with people he's just a banal guy you wouldn't have a reason to remember. Then when he goes home at night, where he still lives with his mother, he makes plans. He and his mother have a relationship that was revolting to me. I'm sure this added to my discust towards this character. He's one of those bad guys you love to hate. Just as you're rooting for the good guys, you're rooting for the antagonist to get what's coming to him. The romance in this book came off to me as authentic and original. It was between two somewhat unlikely characters. It adds a bit of joy to this fairly dark noir tale. Without spoiling anything I will say that before the book is over not all of the important characters make it out alive. King pulls no punches here and the character's death does a nice job of making you that much more anxious more characters will die later in the story when the conflict and danger gets turned up a notch. I've read a handful of King's older novels, many of the ones considered to be classics. I know to some people his writing suffered for many years as he struggled with alcohol and substance abuse. I'm here to tell you that every new Stephen King book I read is fantastic. He's back and I'm so glad he's still cranking them out. I've loved all of his new novels and the same holds true with this one. The last thing I'll mention is that I listened to the audiobook version of this novel. It's narrated by Will Patton who is a phenomenal voice talent. I first heard him narrate when I listened to Doctor Sleep which is the sequel to The Shining. Patton really brought that book to life. I think he was a great pick for this book too because his voice is perfect for the main character who is a retired detective. He has that authentic gruff voice that really fit the protagonist. He delivers the book with such a great conversational read that you get pulled in right away. He's a great actor too, delivering lines of sensitive emotion, raw anger, and insane sociopath spot on. You believe right away when you hit play and Will starts telling you the story. After finishing this book I found out it's to be the first in a trilogy. I'm thrilled. I can't wait to visit these characters again. In this fifth episode I review the podiobook "Billibub Baddings and the Case of the Singing Sword" by Tee Morris. The review is ridiculously short, but I go on to elaborate just how awesome this book is, especially in the serialized podcast format found at www.Podiobooks.com. A great podcast novel due to it's great story, acting with a full cast, and production with music and sound effects done well. An Audiobook I Narrated and Produced is Live! 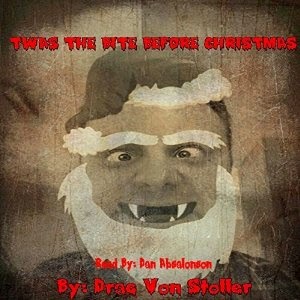 "Twas the Bite Before Christmas" is now available as an audiobook with me as the narrator. This creepy tale is about Santa coming down a certain chimney of a castle to find that it belongs to Dracula. Dracula isn't pleased to see the jolly fat man, but takes advantage of the encounter. Listen to this fully produced audiobook complete with sound effects and background music that draw you into the story and enrich the listening experience. Find a quiet place and your nice headphones then go listen to Twas the Bite Before Christmas available at Audible.com, in iTunes, and at Amazon.com. You'll be supporting the indie author Drac Von Stoller, and me an indie audiobook narrator. Thanks for stopping by! This short story was a great read and really cool! It was not what I was expecting. It's hard to know what to expect with a title like Second Suicide. What the heck could that mean? And why would I want to read about suicide anyway? You'll find out if you read this book. It was written in first person through the eyes of a character who has tentacles. Yep, you just read that right - tentacles. He is an alien who is in a spaceship headed for a planet that he and his kind are going to try and take over. It is amazing how easily you find yourself quickly relating to this character even though he is an alien with long slimy appendages. He thinks like you do, plays cards, uses the toilet, fights, and researches. He learns of the cultures that he and his fellow aliens are heading towards to take over. I'll let you read the story to discover what the title's meaning is all about but let's just say it's a very intriguing idea. You may rethink suicide, not for us humans but for the characters in the story once you learn of their society and circumstances. Somehow this is a huge story and at the same time a very small story. Its first person narrative draws you in and you feel for the main character right away. I wanted to know how he felt about his situation and what was going to happen to him. I also wanted to know about his spaceship, what it was going to do, and what his entire alien race was going to do. Howey gives you just enough information to keep you satisfied as you read. You get little snippets and snapshots of information about the aliens and their past. So you're learning about one being's life and the massive race he belongs to as they fly through space ready to try and conquer another world among many. I thought the character and point of view of the story were very inventive and it was really cool reading a story where the protagonist is an alien so different from me physically and yet very relatable and likable. I was very pleasantly surprised by this intriguing science fiction story. You will be too. Thanks for stopping by! In this third episode I review Journey to the Center of the Earth by Jules Verne. This review comes from a time when I was trying to read some of the classics of the science fiction genre. This was an interesting read. I was not expecting the story to go where it did. I won't spoil anything, but lets just say there's a really big reveal. It's a bit mind boggling. The main characters are a group of kids. They have a really cool clubhouse in the middle of the woods behind their neighborhood. In this way it reminded me of Stephen King's IT or The Body. The kids are on to something strange going on in their neighborhood. They visit an old professor who doesn't let them in on the secret but asks for their help. They go on an adventure and by the end of the book they find out some pretty crazy things about their world. I loved how well the author described the clubhouse the kids were always sneaking off to. I could picture it in my mind. It is an awesome clubhouse and reading about it made me think fondly back on the tree house my brothers and I had as kids. The characters do a lot of talking about the odd things going on around them in that clubhouse, and it was a great setting I was happy to visit every time a scene took place there. I listened to the audiobook version of this story. The narrator Karen Krause was great. 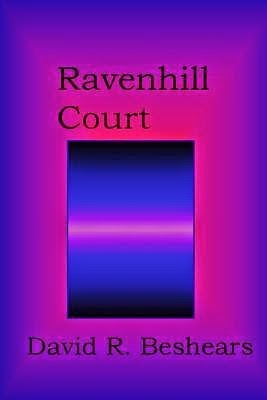 Her voice welcomes you into the world of Ravenhill Court. She fit the story well and I think the author made a good choice selecting her to read this book. In this second episode I review the Christmas Classic titled "A Christmas Carol" by Charles Dickens. Listen as I share my thoughts on why this classic is so great and the tradition I've started of reading every year around the holidays. This short book was really cool. I would love to see the movie for this one. Think action meets Science Fiction suspense. You've got a bunch of scientists and some military people going into a massive skyscraper. Inside they find not a bunch of offices, but a dense jungle filled with alien vegetation. As they make their way through the first floor they come up against some pretty menacing and creepy stuff. There were some great moments in this book that were exciting and chilling. It was a fun read and I pictured myself right alongside the characters as they headed out on this strange and terrifying adventure. You only get the beginning of the larger adventure in this book, but there's plenty in there to keep you listening or turning the pages. I listened to the audiobook version of this story. The narrator has a very pleasant, smooth, and deep voice. It was nice to listen to especially during the narration parts. His reading came off a bit flat for me though. Every character was voiced the same which made it a bit hard at times to distinguish between the characters. It would help to have a more dramatic reading style with more pauses and variation in the speed of the reading to bring this great story across with all of its wonderful flourishes and well constructed prose. You'll like the narrators great voice though and probably won't be as critical as someone like me who narrates audiobooks and listens to them nonstop. I would highly recommend this book to anyone who likes their sci-fi with a bit of intrigue, adventure, suspense, and a splash of creepy horror that will keep you wanting to read on so you can find out more about the aliens the characters must learn more about.